A Farewell to Arms is a 1932 American pre-Code romance drama film directed by Frank Borzage and starring Helen Hayes, Gary Cooper, and Adolphe Menjou. Based on the 1929 semi-autobiographical novel A Farewell to Arms by Ernest Hemingway, with a screenplay by Oliver H.P. Garrett and Benjamin Glazer, the film is about a romantic love affair between an American ambulance driver and an English nurse in Italy during World War I. 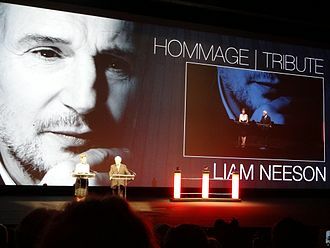 The film received Academy Awards for Best Cinematography and Best Sound, and was nominated for Best Picture and Best Art Direction. In 1960, the film entered the public domain in the United States because the last claimant, United Artists, did not renew its copyright registration in the 28th year after publication. The original Broadway play starred Glenn Anders and Elissa Landi. 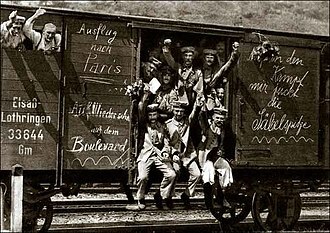 On the Italian front during World War I, Frederic Henry (Gary Cooper), an American serving as an ambulance driver in the Italian Army, delivers some wounded soldiers to a hospital. There he meets his friend, Italian Major Rinaldi (Adolphe Menjou), a doctor. They go out carousing, but are interrupted by a bombing raid. Frederic and English Red Cross nurse Catherine Barkley (Helen Hayes) take shelter in the same place. The somewhat drunk Frederic makes a poor first impression. Rinaldi persuades Frederic to go on a double romantic date with him and two nurses, Catherine and her friend Helen Ferguson (Mary Philips). However, Rinaldi becomes annoyed when Frederic prefers Catherine, the woman the major had chosen for himself. Away by themselves, Frederic learns that she was engaged to a soldier who was killed in battle. In the darkness, he romantically seduces her, over her half-hearted resistance, and is surprised to discover she is a virgin. Their romantic relationship (forbidden by army regulation) is discovered. At Rinaldi's suggestion, Catherine is transferred to Milan. When Frederic is wounded by artillery, he finds himself in the hospital where Catherine now works. They continue their affair until he is sent back to the war. Now pregnant, Catherine runs away to Switzerland, but her many letters to her beloved sweetheart/lover are intercepted by Rinaldi, who feels he needs to rescue his friend from the romantic entanglement. Meanwhile, Frederic's letters to her are sent to the hospital which she has abandoned. After a time, Frederic cannot stand being away from Catherine any longer. He deserts his post and heads out in search of her. Returning first to the hospital in Milan, he attempts to convince the reluctant Ferguson to reveal Catherine's whereabouts to him. Displaying animosity toward Frederic, all she reveals finally is that Catherine has left and is pregnant with Frederic's child. Rinaldi visits him at the hotel where he is hiding, and, upon hearing of Catherine's pregnancy, out of remorse for having interfered with their correspondence, tells Frederic where she is living. He rows across a lake to her. Meanwhile, Catherine is delighted when she is told she has finally received some mail, but faints when she is given all of her romantic love letters, marked "Return to Sender". She is taken to the hospital, where her child is delivered stillborn. She herself is in grave danger. 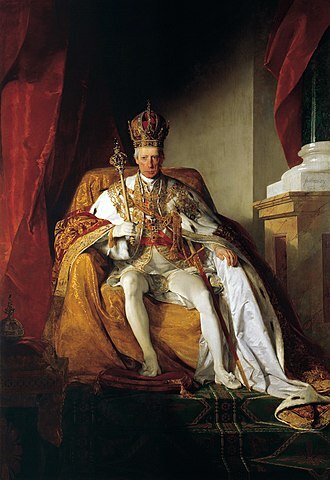 Frederic arrives, and just as an armistice between Italy and Austria-Hungary is announced, Catherine tragically dies, with him at her side. In his review in The New York Times, Mordaunt Hall wrote, "There is too much sentiment and not enough strength in the pictorial conception of Ernest Hemingway's novel ... the film account skips too quickly from one episode to another and the hardships and other experiences of Lieutenant Henry are passed over too abruptly, being suggested rather than told ... Gary Cooper gives an earnest and splendid portrayal [and] Helen Hayes is admirable as Catherine ... another clever characterization is contributed by Adolphe Menjou ... it is unfortunate that these three players, serving the picture so well, do not have the opportunity to figure in more really dramatic interludes." 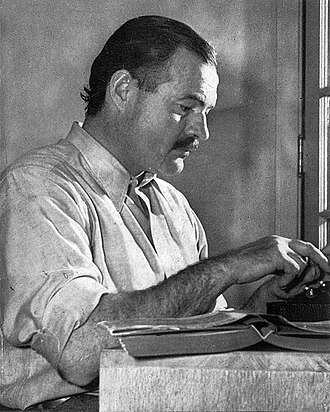 Dan Callahan of Slant Magazine notes, "Hemingway ... was grandly contemptuous of Frank Borzage's version of A Farewell to Arms ... but time has been kind to the film. It launders out the writer's ... pessimism and replaces it with a testament to the eternal love between a couple." Time Out London calls it "not only the best film version of a Hemingway novel, but also one of the most thrilling visions of the power of sexual love that even Borzage ever made ... no other director created images like these, using light and movement like brushstrokes, integrating naturalism and a daring expressionism in the same shot. This is romantic melodrama raised to its highest degree." ^ FILM COSTS HIT BOTH EXTREMES: POVERTY ROW SPENDS LESS, BIG STUDIOS MORE MILLION-DOLLAR FEATURES "SHOOT THE WORKS" INEXPENSIVE "ARTY" HIT DUE TO MAKE APPEARANCE Schallert, Edwin. Los Angeles Times (1923-Current File) [Los Angeles, Calif], October 16, 1932: B13. ^ a b c d "A Farewell to Arms (1932)". The New York Times. Retrieved September 18, 2012. ^ Pierce, David (June 2007). "Forgotten Faces: Why Some of Our Cinema Heritage Is Part of the Public Domain". Film History: An International Journal. 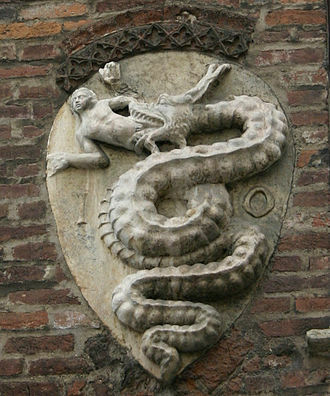 19 (2): 125–43. doi:10.2979/FIL.2007.19.2.125. ISSN 0892-2160. JSTOR 25165419. OCLC 15122313. ^ Unlike most pre-1950 Paramount sound features, A Farewell to Arms was not sold to what is now known as Universal Television. Warner Bros. acquired the rights at an unknown date with the intention to remake the film, but never did. The film would end up in the package of films sold to Associated Artists Productions in 1956, that company would be sold to United Artists two years later. ^ Hall, Mordaunt (December 9, 1932). "Helen Hayes, Gary Cooper and Adolphe Menjou in a Film of Hemingway's "Farewell to Arms."". The New York Times. Retrieved September 18, 2012. ^ Callahan, Dan (July 27, 2006). "A Farewell to Arms". Slantmagazine.com. Slant Magazine. Retrieved June 8, 2016. ^ Huddleston, Tom. "A Farewell to Arms". Timeout.com. Time Out London. Retrieved June 8, 2016. ^ "The 6th Academy Awards (1934) Nominees and Winners". Academy of Motion Picture Arts and Sciences. Retrieved November 15, 2011. ^ "AFI's 100 Years...100 Passions Nominees" (PDF). Retrieved 2016-08-19. Wikimedia Commons has media related to A Farewell to Arms (1932 film). The movements parts are, The International Committee of the Red Cross is a private humanitarian institution founded in 1863 in Geneva, Switzerland, by Henry Dunant and Gustave Moynier. 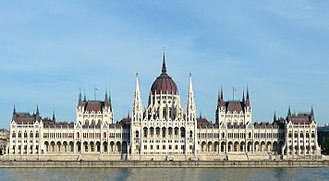 Its 25-member committee has a unique authority under international law to protect the life. The ICRC was awarded the Nobel Peace Prize on three occasions, on an international level, the Federation leads and organizes, in close cooperation with the National Societies, relief assistance missions responding to large-scale emergencies. The International Federation Secretariat is based in Geneva, Switzerland, in 1963, the Federation was awarded the Nobel Peace Prize jointly with the ICRC. National Red Cross and Red Crescent Societies exist in every country in the world. Currently 190 National Societies are recognized by the ICRC and admitted as members of the Federation. Each entity works in its home country according to the principles of humanitarian law. In many countries, they are linked to the respective national health care system by providing emergency medical services. When he arrived in the town of Solferino on the evening of June 24, he toured the field of the Battle of Solferino. 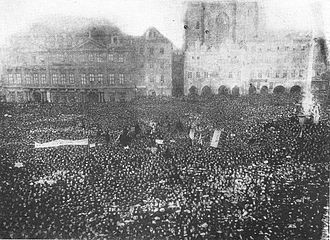 In a single day, about 40,000 soldiers on both sides died or were wounded on the field. Jean-Henri Dunant was shocked by the aftermath of the battle, the suffering of the wounded soldiers. He completely abandoned the original intent of his trip and for days he devoted himself to helping with the treatment. He succeeded in organizing an overwhelming level of assistance by motivating the local villagers to aid without discrimination. 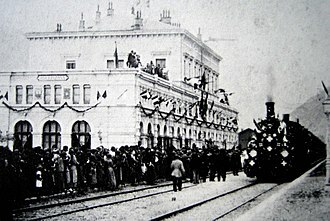 Back in his home in Geneva, he decided to write a book entitled A Memory of Solferino which he published using his own money in 1862. 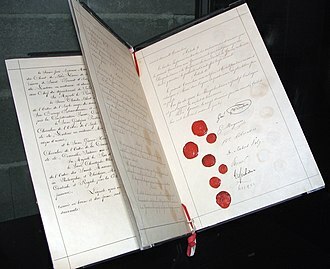 He sent copies of the book to leading political and military figures throughout Europe, in addition, he called for the development of international treaties to guarantee the protection of neutral medics and field hospitals for soldiers wounded on the battlefield. 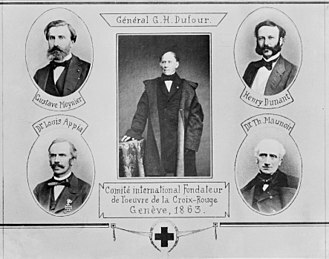 In 1863, Gustave Moynier, a Geneva lawyer and president of the Geneva Society for Public Welfare, received a copy of Dunants book, eight days later, the five men decided to rename the committee to the International Committee for Relief to the Wounded. United Artists is an American film and television entertainment studio. 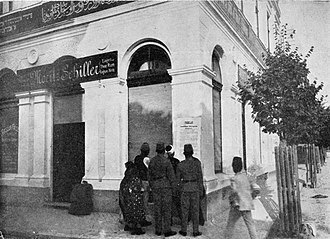 The studio was bought and restructured over the ensuing century. On December 14 of the year, however, MGM acquired the 48% stake of UAMG it did not own. UA was incorporated as a joint venture on February 5,1919, by Pickford, Fairbanks, each held a 20% stake, with the remaining 20% held by lawyer William Gibbs McAdoo. 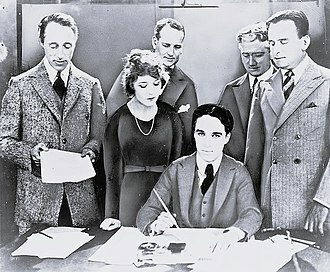 The idea for the venture originated with Fairbanks, Pickford, already Hollywood veterans, the four stars talked of forming their own company to better control their own work. They were spurred on by established Hollywood producers and distributors who were tightening their control over salaries and creative decisions. With the addition of Griffith, planning began, but Hart bowed out before anything was formalized, when he heard about their scheme, Richard A. Rowland, head of Metro Pictures, is said to have observed, The inmates are taking over the asylum. 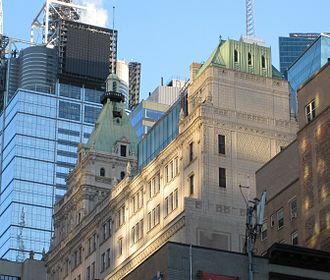 The four partners, with advice from McAdoo, formed their distribution company and its headquarters was established at 729 Seventh Avenue in New York City. The original terms called for each of the stars to produce five pictures each year, UAs first film was a success. 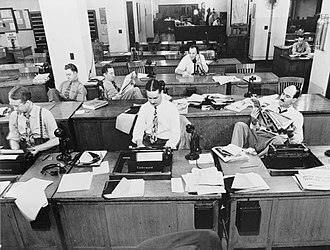 Without selling stock to the public, following the other studios, as a result, production was slow and the company distributed an annual average of five films during its first five years. By 1924 Griffith had dropped out and the company was facing a crisis, veteran producer Joseph Schenck was hired as president. He had been producing pictures for a decade, and he brought commitments for films starring his wife, Norma Talmadge, his sister-in-law, Constance Talmadge, contracts were signed with independent producers, most notably Samuel Goldwyn, and Howard Hughes. In 1933, Schenck organized a new company with Darryl F. Zanuck, called Twentieth Century Pictures, Schenck formed a separate partnership with Pickford and Chaplin to buy and build theaters under the United Artists name. They began international operations, first in Canada and in Mexico, by the end of the 1930s, United Artists was represented in over 40 countries. Frank Borzage was an American film director and actor, most remembered for directing 7th Heaven, Mans Castle, and The Mortal Storm. Frank Borzages father, Luigi Borzaga, was born in Ronzone in 1859, as a stonemason, he sometimes worked in Switzerland, he met his future wife, Maria Ruegg, where she worked in a silk factory. Borzaga emigrated to Hazleton, Pennsylvania in the early 1880s where he worked as a coal miner and he brought his fiancee to the United States and they married in Hazleton in 1883. Their first child, was born in 1885, the Borzaga family moved to Salt Lake City, where Frank Borzage was born in 1894, and the family remained based until 1919. The couple had fourteen children, eight of whom survived childhood, Mary Emma, Frank, Lew, Luigi Borzaga died in Los Angeles in a car accident in 1934, his wife Maria died of cancer in 1947. In 1912, Frank Borzage found employment as an actor in Hollywood and his directorial debut came in 1915 with the film, The Pitch o Chance. On June 7,1916, Borzage married vaudeville and film actress Lorena Rena Rogers in Los Angeles, in 1945, he married Edna Stillwell Skelton, the ex-wife of comedian Red Skelton, they were divorced in 1949. Borzage died of cancer in 1962, aged 68, and was interred in the Forest Lawn Memorial Park Cemetery in Glendale, for his contributions to film, Borzage was awarded a star on the Hollywood Walk of Fame. Borzage was a successful director throughout the 1920s but reached his peak in the late silent, absorbing visual influences from the German director F. W. He won a second Oscar for 1931s Bad Girl. to Three Comrades and his work took a turn to religiosity in such films as Green Light, Strange Cargo and The Big Fisherman. Of his work only the film noir Moonrise has enjoyed critical acclaim. After 1948, his output was sporadic and he was the original director of Journey Beneath the Desert, but was too sick to continue, and Edgar G. Ulmer took over. Borzage was uncredited for the sequences he did direct, in 1955 and 1957, Borzage was awarded The George Eastman Award, given by George Eastman House for distinguished contribution to the art of film. Frank Borzage, the Life and Times of a Hollywood Romantic, souls Made Great Through Love and Adversity, the Film Work of Frank Borzage. A Farewell to Arms is a novel by Ernest Hemingway set during the Italian campaign of World War I. The book, published in 1929, is an account of American Frederic Henry. 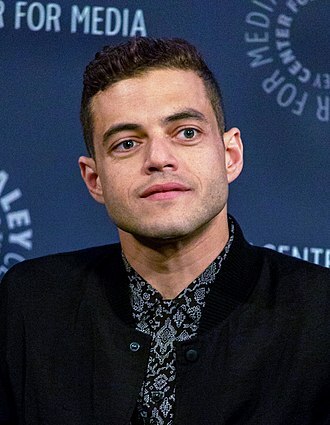 The title is taken from a poem by 16th-century English dramatist George Peele, the novel has been adapted for the stage, initially in 1930 and subsequently, for film in 1932 and 1957, and as a television miniseries in 1966. The novel is divided into five books, in the first book, Frederic Henry, an American paramedic serving in the Italian Army is introduced to Catherine Barkley, an English nurse, by his good friend and roommate, Rinaldi, a surgeon. Frederic attempts to seduce her, and their relationship begins, Frederic doesnt want a serious relationship, but his feelings for Catherine slowly start to grow. On the Italian front, Frederic is wounded in the knee by a mortar and sent to a hospital in Milan, the second book shows the growth of Frederic and Catherines relationship as they spend time together in Milan over the summer. Frederic and Catherine fall in love as Frederic slowly heals, after his knee heals, he is diagnosed with jaundice but is soon kicked out of the hospital and sent back to the front after being discovered with alcohol. By the time he is sent back, Catherine is three months pregnant, in the third book, Frederic returns to his unit, and soon discovers morale has severely dropped. 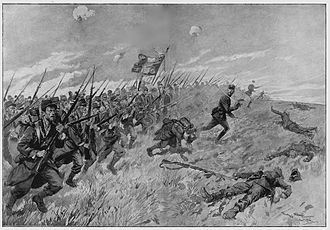 Not long afterwards the Austrians break through the Italian lines in the Battle of Caporetto, due to a slow and hectic retreat and his men go off trail and quickly get lost, and a frustrated Frederic kills a sergeant for insubordination. 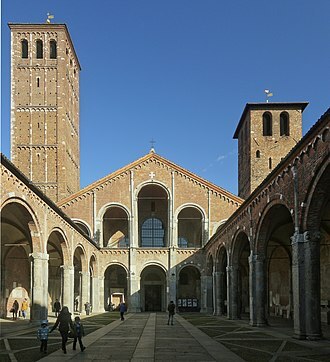 However, after seeing and hearing that everyone interrogated has been killed and he heads to Milan to find Catherine only to discover that she has been sent to Stresa. In the fourth book and Frederic reunite and spend time in Stresa before Frederic learns he will soon be arrested. 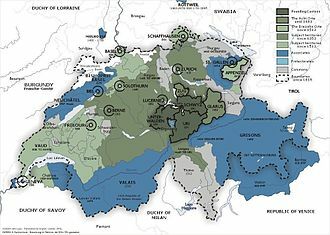 He and Catherine flee to Switzerland in a rowboat, after interrogation by Swiss authorities, they are allowed to stay in Switzerland. The Academy Award for Best Cinematography is an Academy Award awarded each year to a cinematographer for work on one particular motion picture. In its first film season, 1927–28, this award was not tied to a specific film, the second year,1929, there were no nominations at all, although the Academy has a list of unofficial titles which were under consideration by the Board of Judges. In the third year,1930, not cinematographers, were nominated, for the 1931 awards, the modern system in which individuals are nominated for a single film each was adopted in all profession-related categories. From 1939 to 1967, there were separate awards for color and for black-and-white cinematography. Since then, the only film to win is Schindlers List. Floyd Crosby won the award for Tabu in 1931, which was the last silent film to win in this category, hal Mohr won the only write-in Academy Award ever, in 1935 for A Midsummer Nights Dream. Mohr was the first person to win for both black-and-white and color cinematography, no winners are lost, although some of the earliest nominees are lost, including The Devil Dancer, The Magic Flame, and Four Devils. 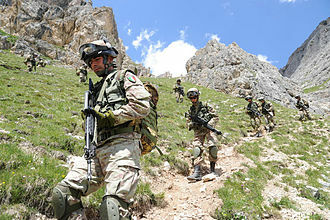 The Italian Army is the land defence force of the Italian Armed Forces of the Italian Republic. The armys history dates back to the unification of Italy in the 1850s and 1860s, during the Cold War the army prepared itself to defend against a Warsaw Pact invasion from the east. Since the end of the Cold War the army has seen extensive peacekeeping service and combat in Afghanistan, the headquarters of the Army General Staff are located in Rome, at the back of the Presidential Palace. The army is a force of active-duty personnel, numbering 99,042 personnel in 2016. 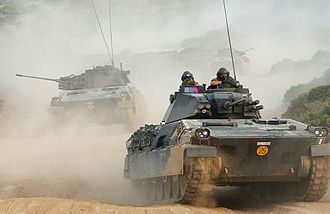 The Italian Army originated as the Royal Army which dates from the proclamation of the Kingdom of Italy following the seizure of the Papal States and the unification of Italy. 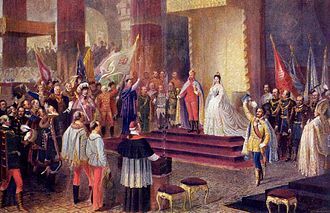 In 1861, under the leadership of Giuseppe Garibaldi, Victor Emmanuel II of the House of Savoy was invited to take the throne of the independent kingdom. Italian expeditions were dispatched to China during the Boxer Rebellion of 1900, the Italian Royal Armys first real taste of modern warfare was during World War I. 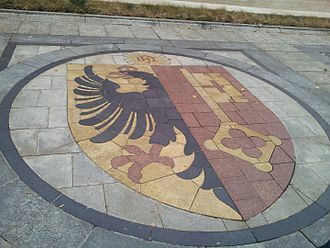 Most of the actions were fought in northern Italy and the Royal Army suffered many casualties, Italian discipline was harsher, with punishments for infractions of duty of a severity not known in the German and British armies. On paper, the Royal Army was one of the largest ground forces in World War II, though in reality it could not field the numbers claimed, due to their generally smaller size, many Italian divisions were reinforced by an Assault Group of two battalions of Blackshirts. Reports of Italian military prowess in the Second World War were, almost always and this perception was the result of disastrous Italian offensives against Egypt and the performance of the army in the Greco-Italian War. Both campaigns were ill-prepared and executed inadequately, Italian medium M11, M13, M14 and M15 tanks were at a marked disadvantage against the comparatively heavily armed American Sherman tanks, for example. There were too few weapons, obsolete anti-tank guns. When the Soviet offensive Operation Saturn began on December 12,1942 the Italian 8th Army was quickly crushed, in North Africa, the Italian 132 Armored Division Ariete and the 185 Airborne Division Folgore fought to total annihilation at the Second Battle of El Alamein. Jack La Rue was an American film and stage actor. La Rue was born Gaspere Biondolillo in New York City, La Rue went from high school to his first acting job, in Otis Skinners road company production of Blood and Sand. He performed in Broadway plays from around 1923 to 1931, according to La Rue, while appearing in Mae Wests play Diamond Lil, he was spotted by Howard Hawks, who offered him a part in the film Scarface, starring Paul Muni. He moved to Hollywood, where he appeared in numerous films, Scarface was not one of them. La Rue stated in an article that, after four days. Later, Raft turned down the role of the villain in The Story of Temple Drake, fearing it would damage his screen image. Sometimes mistaken for Humphrey Bogart, he played thugs and gangsters for the most part, La Rue stated he turned down a role in The Godfather and many parts in the television series The Untouchables because of the way they portrayed Italian-Americans. La Rue married Los Angeles socialite Constance Deighton Simpson on September 22,1938 and she obtained a divorce on December 17,1946, charging him with mental cruelty. Paramount Pictures' first logo, based on a design by its founder William Wadsworth Hodkinson, used from 1917 to 1967. 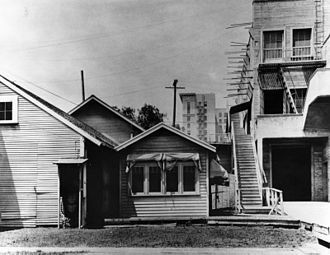 Lasky's original studio (a.k.a. "The Barn") as it appeared in the mid 1920s. The Taft building, built in 1923, is visible in the background. 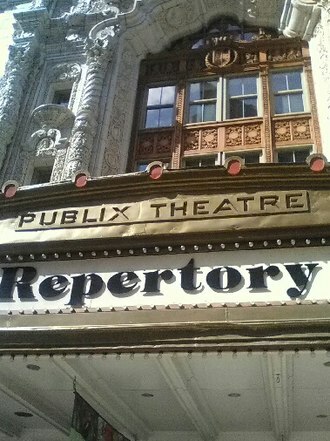 Detail of Publix Theatre logo on what is now Indiana Repertory Theatre. The original Paramount logo seen on its 1930s films and Popeye shorts. In this publicity photo, Dorothy Mackaill plays a secretary-turned-prostitute in Safe in Hell, a 1931 Warner Bros. film. Pre-Code musicals took advantage of their backstage stories to show women in states of dress beyond those considered decent in ordinary life, such as this shot from the trailer for 42nd Street, in which auditioners show their legs to the director. 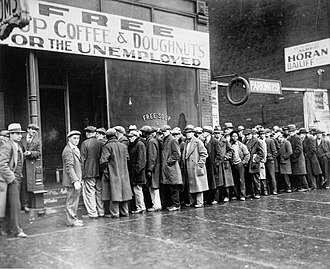 Unemployed men in 1931. The Depression profoundly influenced pre-Code Hollywood both financially and artistically. Warren William, described by Mick LaSalle as "one of the singular joys of the Pre-Code era", played industrialist villains and other lowlife characters. Drawing of Mary Philips from a 1922 newspaper. from the film A Star Is Born (1937). Menjou with second wife, actress Kathryn Carver in 1928. Tyrone Power passionately, lovingly, embraces Alice Faye in the 1938 film Alexander's Ragtime Band. The pre-1978 indices to the copyright records are available for public inspection at the Library of Congress.